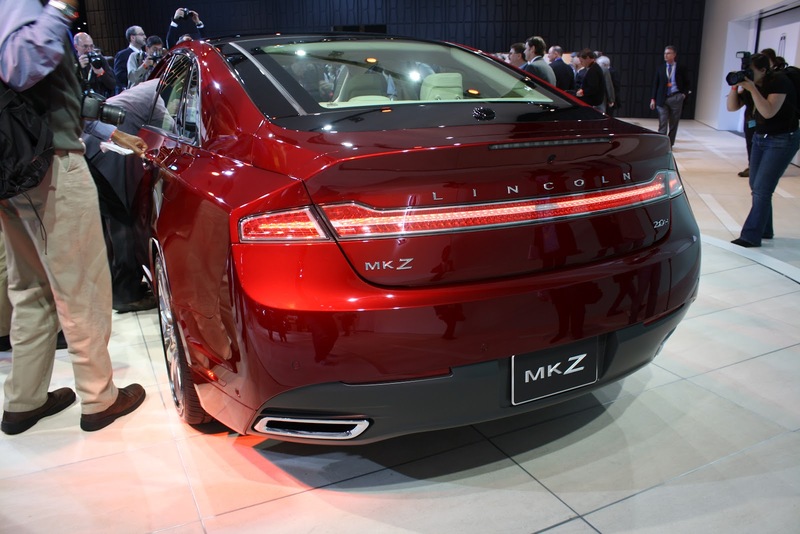 The 2013 Lincoln MXZ debuted at the New York Auto Show on April 4 after the concept was revealed in Detroit earlier this year. 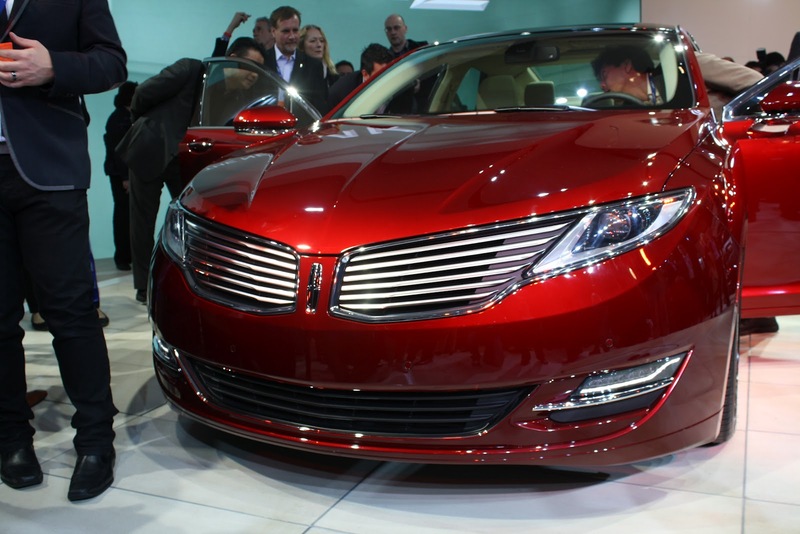 It represents the first of a chain of big releases; expect to see seven all-new or significantly refreshed models from Lincoln over the next three years. 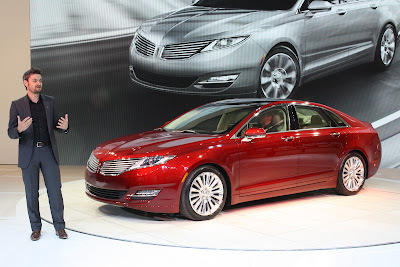 What we especially like about it is the fact that in at least in a stylistic sense, it stays true to the radical MKZ concept we saw in the Motor City. It still has that great new grille inspired by the wingspan of an eagle flanked by headlights that I swore were too narrow and cool looking to ever make production, still has a full-length light bar at the back (probably the closest connection this car has to Lincolns of old). It even has a near full-length panoramic sunroof if you specify it as such (there’s a smaller single-pane option as well), which looks superb and is fluid in its operation. Split-wing grille is "inspired by the image of an eagle's wings," says Wolff. Headlights are adaptable; they turn with the steering wheel. 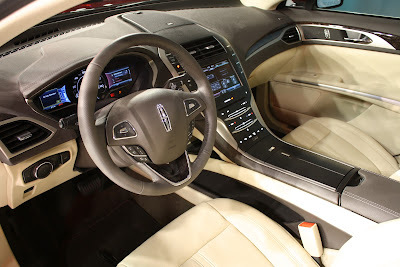 Inside, the theme was to keep it airy which starts with that sunroof, and continues with a sweeping center-console that is pretty much all touch-sensitive, meaning no unsightly (and breakable) knobs or traditional buttons. The designers even went so far as to remove any need for a gear lever; gears are selected via touch-sensitive buttons on the upper left of the console. Also (nearly) revealed were the power figures and drivetrain plans for the car–the “2.0H” badge seen on the trunk of the car here (besides being a clever take on the “2.0T” nomenclature so popular in the world of VW) signifies that it’s the hybrid version, which will join both a 2.0-litre turbocharged EcoBoost motor (for the first time in a Lincoln product) and a 3.7-litre, naturally aspirated V6. That’s quite an array, and a far cry from the days where Lincoln products were offered with big V8s and that’s it. The engine selection alone is a great indicator of important this car is to the brand. Adding to the techiness of the MXZ is a raft of features such as Lincoln Drive Control, lane-departure warning, adaptive cruise control and blind-spot assist. Alluded to here is the new experience that buyers can expect—Lincoln dealerships across North America are being transformed, so that the buying and ownership experiences will be more luxurious, in an effort to reflect the cars themselves. Examples of this include a 48-hour “date” sponsored by Lincoln while your car’s being serviced—you get a loner that’s just like your car, and a dinner on the company. If you’ve ever been to a BMW dealer and seen elements like the BMW Café, then you have an idea what Lincoln is striving for here. Apparently it’s working; dealers at an event hosted by Lincoln just a couple of days before the show’s doors opened said that it was actually hard to get customers to leave the dealership, even after their business was concluded. Hard to believe? Maybe. But it’s looking to be an interesting chapter for the brand nevertheless. Expect prices to be announced later this year as the car nears its public release.